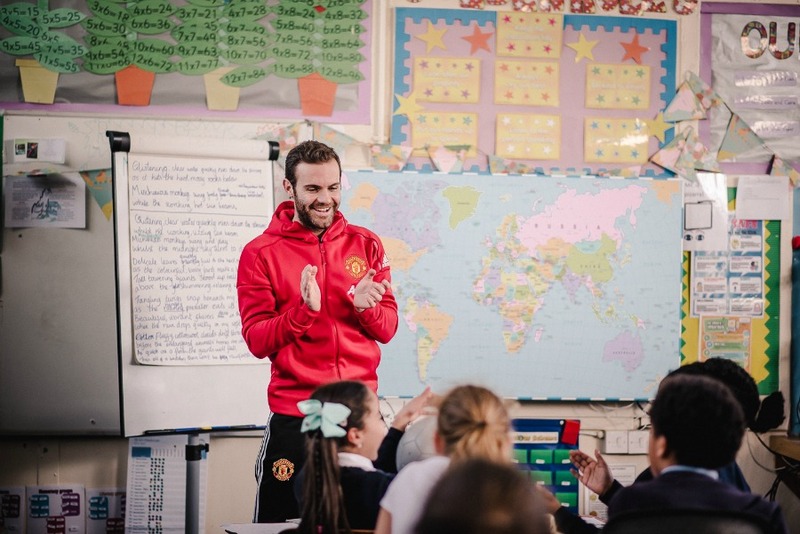 What do you get if you cross the Premier League with a primary school? A lot of excited children, that’s for sure, but when you think of football, you don’t automatically see a lot of learning experiences. Sportsmanship maybe, but it’s all about the physical skills isn’t it? Well. actually, no. 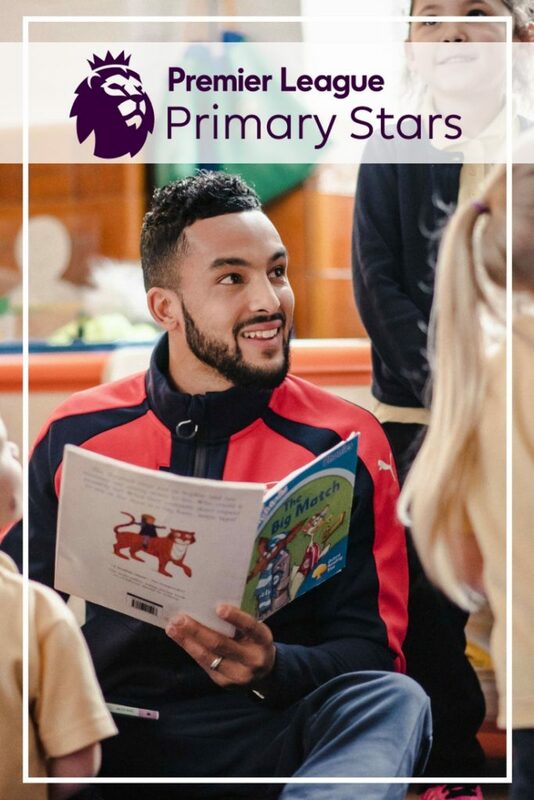 The Premier League have this week, launched an educational program ‘Primary Stars’ to compliment and enhance the National Curriculum. You may have seen the new advert, last Saturday night, sandwiched in between segments of the final episode of The Voice 2017. The first piece of advertising that the Premier League has ever had to pay for, as after all, they get pages of coverage in the back of all the national newspapers. Here it is if you missed it – it’s a good one and should bring a smile to your face. The boy trying to put his vest on makes it for me. They admit that they are pretty ambitious with this – their aim is to support at least 10,000 primary schools by 2019 with this, their biggest community project to date and why not? It’s free. Let me say that again. It’s FREE. 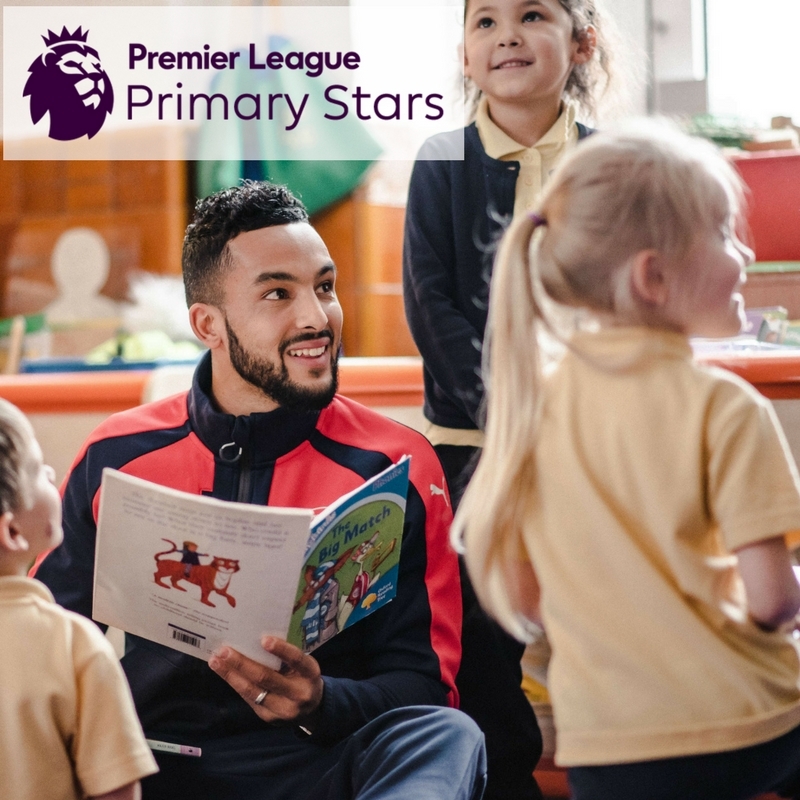 All schools need to do is follow this link or search for Premier League Primary Stars and sign up to activate their access to free resources. You can even nominate your school at the same web page if you are an interested parent. Why should you nominate or sign up? So that’s what they say. But that doesn’t quite convey the excitement and inspiration that I felt when I went to the launch at a lovely primary school in North London, last week. Gabby Logan hosted the event and Rachel Riley, authors Cressida Cowel and Dan Freedman took to the stage to discuss their part in the development of the program and explain why they agreed to put their name to it. But, the stage was stolen from them by Henry Commander, the Deputy Head of a primary school that has been trailing the program, using the resources and seeing the buzz and engagement it’s use has created. He was so enthusiastic, listening to him regale the effectiveness of the program inspired and excited me for the project. …a disengaged child who would have normally just stumped along, was suddenly really up for this lesson and really keen….another example was somebody did one of the lesson plans and suggested maybe doing a penalty shoot at the end of the lesson. Well, obviously, it was incredible because they were there doing this normal, regular, everyday activity and at the end, they did a quiz, based along a penalty shoot out. The next day, the teacher couldn’t believe how much they remembered and retained from it. 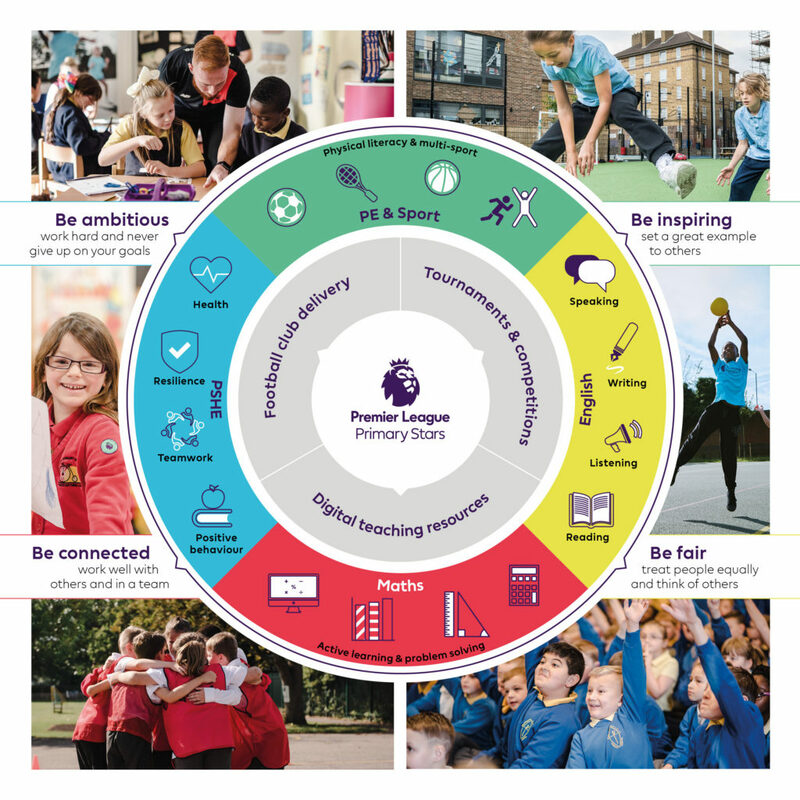 It’s not just a few print outs here – the Premier League Primary Stars program consists of free to download lesson plans, activities and video content which has been designed to inspire learning in Maths, English, PE and Personal, Social, Health and Economic education (PSHE). Every resource is broken down into different parts and each one has got a video to go with it. The routine will be that the class watch a video to get the activity started and to help engage and inspire the students and then move on to the ‘work’ and learning, disguised within an interesting activity. Every school that signs up gets sent a physical box of books. At a time when both public libraries and school libraries are closing, Cressida Cowell was particularly excited by this as she said, how can children learn to love books if they don’t have the exposure to them? 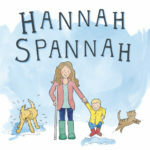 She offered advice for how to get a reluctant reader to learn to love reading – she suggested to just keep trying – read as many different types of books together as you can, until you find the one that captures them. A big belief that I hold is that effort, approach and attitude should be rewarded as much as achievement as some children have a natural aptitude for certain things and whilst that should be recognised, sometimes, other children have had to put in more effort and that needs to be recognised as well. It’s great to see that the Premier League hold similar beliefs. …a big point as well (is that) all of the resources, especially the PSHE ones really align with what all of the schools are trying to do at the moment – the idea of growth mindset, the ‘can do’ attitude, the resilience; all of these things are messages that we’re trying to embed in these children and build up. The fact the Premier League stars are the greatest role models, promoting all of these values, is just perfect….it’s an opportunity that’s too good to be missed. He’s right. Football stars can be ‘gods’ to some children and instead of this influence being mis represented as ‘you don’t need to try hard at school, just practice football and you’ll become a rich superstar’, children get to see the footballers in their environment. In a classroom, similar to their own, with children, just like them, and talking about the same things that get discussed and taught in their lessons. It’s also not just about the boys either. Whilst at the launch event, we were able to watch some video footage of a Liverpool women’s football team member who was talking about resilience and determination. She talked about she overcame a bad injury – how hard that has been but that she never gave up and has almost returned to full ability. I’m hoping that the next pub quiz I attend, has questions about the Premier Cup as I learnt all about it from the gentlemen who were guarding it and it’s quite interesting. Fun fact: I could stand next to it but NO touching. on the tv side there’s a lady called Anna Edwards who works for sky sports and she’s on the literacy side talking about how vital a tool communication is towards everything that she does – whether it’s going to be someone who is going to be an international gymnast or someone who’s going to produce tv shows, you’ve got those female role models. women’s football is bigger than ever because of it’s coverage and the professionalism of the sport…this summer there is the Women’s Football European Championships which I think is going to be a huge event that will again propel the women’s game. More women, more girls, are playing football. at which point, I interjected that at my son’s school, which is tiny, the after school football club is very well attended and there are a lot of girls that take part. I’m so very excited to add that when I told my son’s Headmaster about the scheme at school drop off in the morning, by lunchtime, our school was signed up to the scheme. these people, who to them, have achieved loads in life because they play for Premier League football clubs but actually, they are all so human and they have had to overcome things and are seen in the classroom, talking to kids and it makes it very relevant. I really hope that I’ve helped you get a good feel for this program. I can’t wait to hear back from my son’s school in a couple of months and find out what they think and how they’ve got on with it in practice. No matter what, I do think it’s great to see the Premier League giving back to the whole country in the form of their Primary Stars program. Let me know if your school signs up. 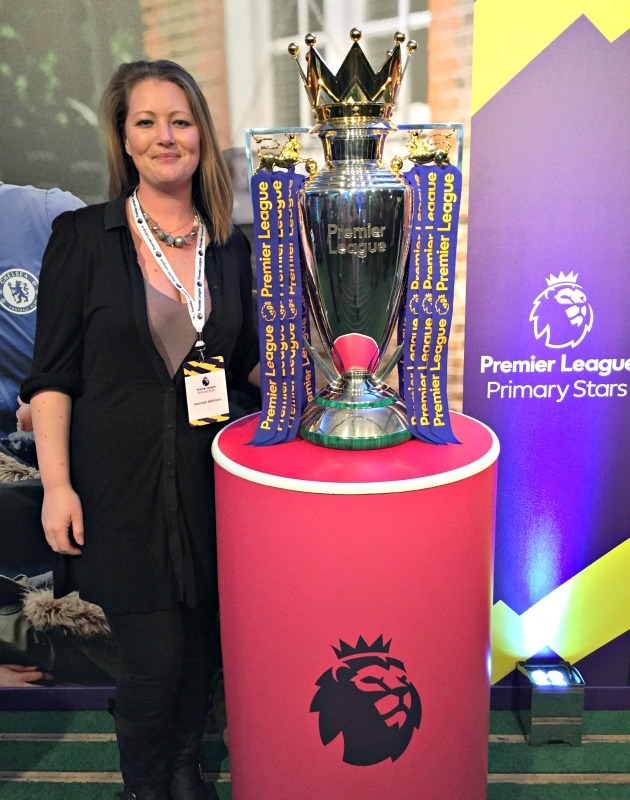 Disclosure: I was invited to the Premier League Primary Stars Launch event and had my travel expenses covered however, as always, all opinions are my own.